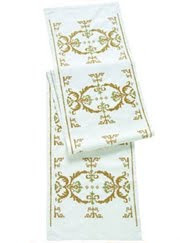 Maybe it's just me, but I often have a hard time finding table runners that I really like. And I only buy things that I really like. Why spend money on things that you only sort of like? 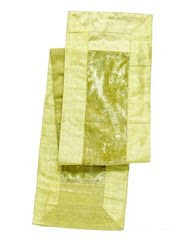 I remember this past spring I was looking for a light, feminine table runner and could not find anything worth purchasing. Granted, I didn't do an extensive search online (that would've been a good idea - silly that I didn't). 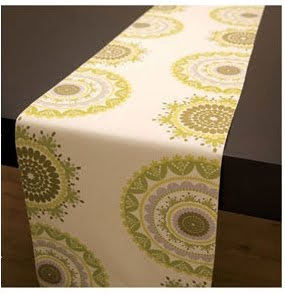 But anyways I thought well if I can't find a table runner, then I'm going to go to a fabric store and make my own. And that's exactly what I did. I found the exact fabric that I had envisioned in my mind and took it back home. It worked out perfectly except that the ends aren't finished. One of these days I'll take it to a seamstress to have finished but for now it's good enough for me. 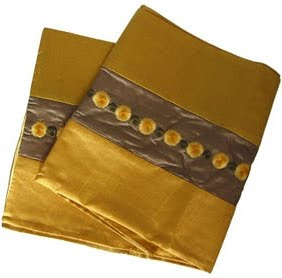 Anywho, I was talking with my lovely future sister-in-law, Trisha, the other day and she had mentioned that she was in search of a table runner. Well, I thought I'm going to do some proper research so that it'll make it easier for people who are looking for one. Ya know what? 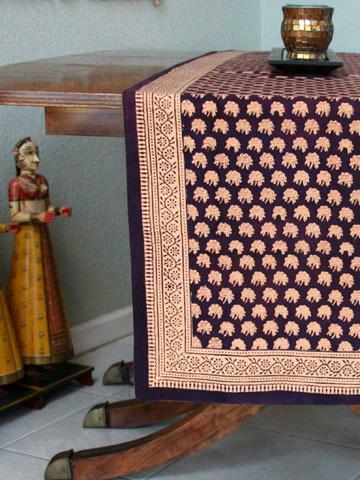 There are like a gazillion table runners online! If only I had searched online. You would think I would've thought of surfing the web seeing as how I am a web designer by day. Ah, ya live and ya learn right? Below are just a few (more than a few, really) examples I came across that I think are definitely worth purchasing. Heck, I might even buy one myself! Green leaves - perfect for Fall! 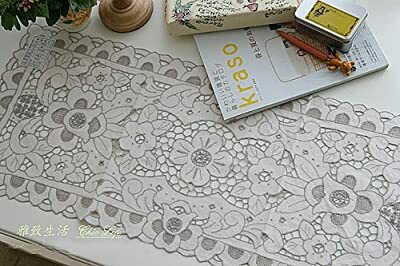 Unique Hand Embroidery & Cut Work Cotton Table Runner from Victoria's Deco for $29.99. Dress this up for a fancier affair or down for a shabby chic look, whichever you prefer. This red will warm up any table. For those of you who favor a more modern look. Plus, it's easy to clean. Love, love, love the design! Create your own unique table runner by sewing together doilies. 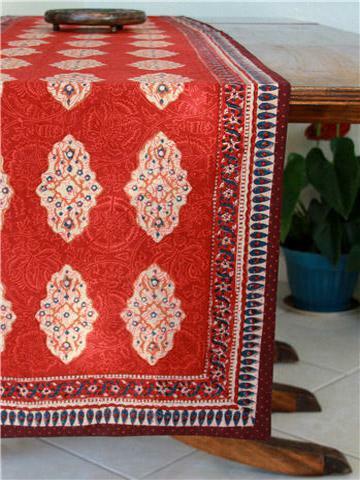 My inner wannabe graphic designer has a weakness for the medallion patterns like the one on this table runner. ASU blocks pro inflammatory chemicals, prevents deterioration of synovial cells (which line the joints) and may help regenerate normal connective tissue. ASU has been researched extensively and has been proven as a safe natural alternative for the relief of arthritis symptoms. In fact, the French government has tracked ASU safety record for more than 15 years and has yet to find any significant problems.. The scene, with champagne flying and the jubilant players in T shirts and baseball caps, was slightly more boisterous than your typical Saturday evening crowd at Milano might expect. how to make your own t shirt Not that the power diners minded: geek shirts Ovi and Co. Led the well heeled crowd in papa shirts a boisterous rendition of "We Are the Champions." To follow the team's rollicking weekend of celebration (tattoos! swimming in fountains! ), check out our colleagues' recap at the Sports Bog here.